Appliance Handyman offers high-quality appliance repair and installation services across the Greater Toronto Area. All Appliance Handyman technicians undergo constant training and product education to make sure that when we are visiting a home or a business we will have all the tools and knowledge for fixing appliances, maintaining appliances and/or installing appliances & parts. We operate every day of the week, including weekends, holidays, and emergency after-hours. Our service call starts from $80, depending on your location. We highly value your feedback. After completing your appliance repair or installation service, we encourage our customers to write us or post their honest opinion online, whether it may be on Google Reviews, HomeStars, Yelp, or other review sources. We leave no mess behind and it is a requirement for each Appliance Handyman to provide our customers with professional and transparent advice on every repair. If your fridge, dishwasher, washer, dryer, stove, oven or any other appliance gives you trouble, call us for a FREE Quote and over the phone advice. We will help you achieve your goals in a cost effective way. 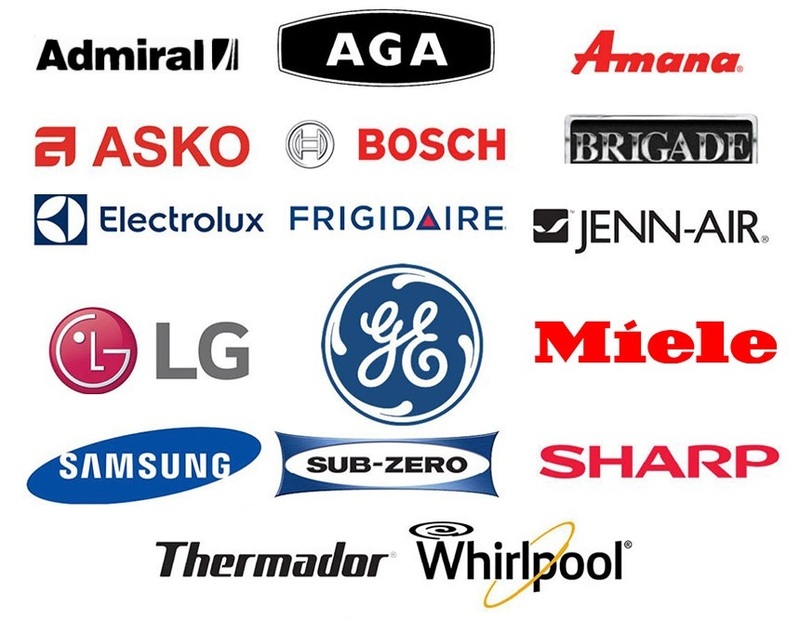 We service all major appliance brands in Canada. Read our reviews below & write us one when we complete your request. Call an Appliance Handyman Near you!